The A6 Series automotive relay for sale is small in size and light weight. Offering low coil power consumption, switching current is up to 30A with contact arrangement choices of 1A or 1C. 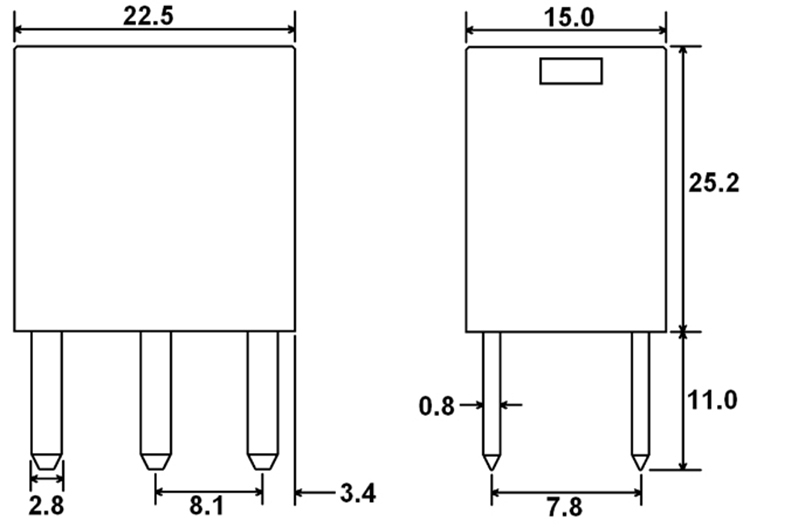 Coil voltage options for this relay are 12VDC or 24VDC with coil power of 0.9W or 1.3W. With PC pin mounting, the A6 Series is 22.5 x 15.0 x 25.2mm. 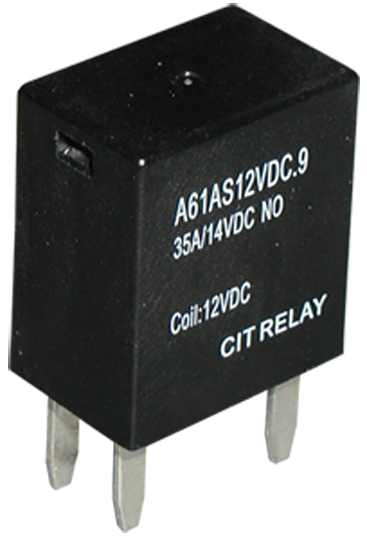 Contact factory directly for information on our shrouded version of this small relay.